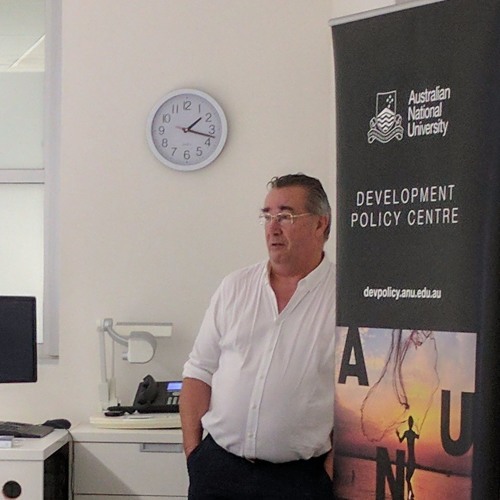 In this talk Professor Fforde will discuss how risk and uncertainty are best coped with in development practice. In doing this, he will examine the theories of change that underpin aid practitioners’ use of tools such as the logical framework approach. He will contend that in many situations we should explore methods of devising policy and organising practice that formally assume context is unpredictable and unsuited to tools like the logical framework approach. He will argue that aid work can often benefit from reconsidering the theories of change it draws upon. Professor Adam Fforde is Professorial Fellow, Victoria Institute of Strategic Economic Studies, Victoria University. He has a long career in development practice and research. His forthcoming book is Reinventing ‘development’ – the sceptical change agent.